As a doctor in the field of Aesthetic and Anti- Aging Medicine, the overwhelming concern we hear in our office is anxiety associated with aging. However, by definition, does aging have to imply chronic disease, suffering, dementia, frailty and debilitation? Could it be possible to live to 110 years of age and still have the vitality and energy to enjoy our great-grandchildren without collapsing from shortness of breath, a fractured hip or forgetting entirely who we are? Whether we admit it or not, besides fear of being old we are also afraid of looking old. Can we take the fear out of wanting to look more youthful without worrying that we’ll look like a Hollywood freak show? Is it possible to reduce the gap between chronological age and biological age? Longevity (or Anti-Aging) medicine is not about achieving immortality and it is certainly not about looking 21 when you are 92. It is, however, about learning what can be done to live a long, healthful, more productive life. It is about focusing on disease detection and prevention rather than the treatment of symptoms of age-related chronic disease. It is a clinical medical specialty based on innovative, peer reviewed scientific research and a sensible model of preventive medical care. 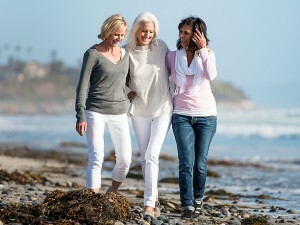 Let us redefine the term “aging gracefully” to “aging gracefully and healthfully.” The truth is that with rapid advances in high-tech medical treatments we are all going to live longer, whether we like it or not. Given the choice between spending the last years of one’s life debilitated and in a nursing home with three or more chronic diseases of aging being managed by the traditional multi-drug approach vs. leading a vigorous, productive life well into our 90s, the choice is a no-brainer. Today, the average American consumer is realizing this. In this estimated $30 billion industry, sales of anti-aging supplements are estimated at $1billion — in the United States alone. Aesthetic procedures and skin rejuvenation such as laser surgery, skin tightening technologies, non-invasive body contouring, fat grafting, varicose and spider vein non-surgical removal, botox, chemical peels, fillers and skincare formulations. The future of this burgeoning field is remarkable, to say the least. The average lifespan, now estimated to be at about 80 years of age could conceivably be 130 years by 2030. In fact, 10 times as many people are expected to reach their 100th birthday today as in year 2000. Here is a sampling of what current research is focusing on today and what can be expected in the next decade and beyond. Advances in genetic will allow insulin to be administered via skin patches or nasal inhalers, making the need for injections of insulin obsolete. Moreover, with the completion of the Human Genome Project, cures for chronic diseases such as diabetes, rheumatoid arthritis and cancer will follow suit. Laser treatment for vision correction will become more commonplace and more affordable. On the horizon: Surgically implanted contact lenses and light sensitive microchips for age related blindness. Vasectomies will become outdated as advances in male contraception are made with sperm-neutralizing vaccines. Advances in infertility will include the gestation of an embryo in an artificial womb that mimics the natural womb environment. Replacement parts for our aging body will be available, from artificial eyes, ears, hips and knees that last for 50 years instead of the present 10. In 50 years, it is conceivable that limbs, joints and even faces will be “grown” or replicated replacing the need for artificial parts. This includes lab grown breast tissue to replace breasts lost to cancer. Intellectual immortality will be possible through the development of multiple memory chips that will store an individual’s thoughts, feelings, and memories. Gene therapy, stem cell therapy, growth factors as well as advances in laser technology and skincare will make wrinkling and sun damaged skin obsolete. An oral sunblock will be likely be the standard of care for UV protection. The future of anti-aging medical therapies is already here. Start living a healthy life now so that you can take advantage of these emerging and exciting anti-aging technologies. Always remember though that true health and real beauty first begins within.